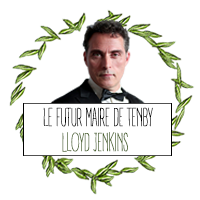 lloyd jenkins Swansea university dean, proud dad. 115 publications 455 abonnés 65 suivis. quiinie such a pleasure to see you again Lloyd, best teacher ever. quiinie you should have stayed with us, we're going to Paris, tell me if you can join, please Lloyd. jenkl Being a lord for one night. markE you actually should post more picture about this epic night lloyd! Alliz before and after incoming?